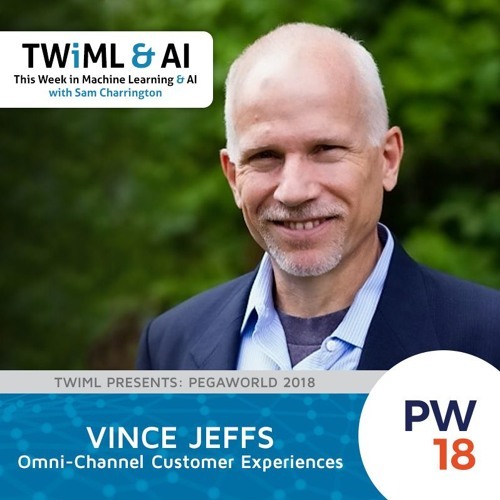 In this, the final episode of our PegaWorld series I’m joined by Vince Jeffs, Senior Director of Product Strategy for AI and Decisioning at Pegasystems. Vince and I had a great talk about the role AI and advanced analytics will play in defining future customer experiences. We do this in the context provided by one of his presentations from the conference, which explores four technology scenarios from Pegasystems’ innovation labs. These look at a connected car experience, the use of deep learning for diagnostics, dynamic notifications, and continuously optimized marketing. We also get into an interesting discussion about how much is too much when it comes to hyperpersonalized experiences, and how businesses can manage this challenge. The notes for this show can be found at twimlai.com/talk/154. For more information on the Pegaworld series, visit twimlai.com/pegaworld2018.